At Warrenton Toyota, we’re proud to provide drivers around Warrenton and Stafford, VA, with auto financing options to best meet their needs and budget. While we provide auto financing options for those with good credit, we are also able to work with those who have had unfortunate events negatively affect their credit score. Our Toyota financing experts are here to help you get into the new Toyota or used car you deserve. If you are currently struggling with your credit, we want to help you get into the car, truck or SUV you need. Whether you have poor credit or no credit, we can work with you to find the auto loan and rates that will best meet your current budget. With our special financing options, our experts will work with you to find you the auto loan that fits your current situation. Fill out our auto loan application to begin the special financing process, obligation free. Once you fill out the form, we will have one of our Toyota special financing experts contact you shortly to discuss your options. If you have a vehicle to trade in, you can also go ahead and value your trade online now using our Black Book Trade In tool. This tool will quickly give you an estimate as to how much your car is worth, and how much you’ll be able to put towards a new vehicle. 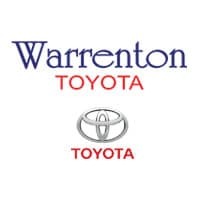 From all of us at Warrenton Toyota in Warrenton, VA, we look forward to providing you with special finance options and get your new vehicle!